Book cover. Screen capture courtesy of The State newspaper. The book “The Stone Necklace” by National Association of Social Workers South Carolina Chapter Executive Director Carla Damron has been chosen to be part of a city-wide reading initiative in Columbia, SC. Carla Damron. Screen capture courtesy of The State newspaper. According to this print and video interview in The State newspaper, the book is about a car accident that weaves together the lives of a grieving widow, struggling nurse, young mother and a homeless man. Damron said the theme of the book is about recovery, mirroring South Carolina’s rebuilding after devastating floods last October. “Every character has a little bit of me in them, but with this book more than any others, the characters kind of come alive and then they’re very distinct people I know that live in my head,” she said. Damron is not a stranger to the literary world. She is also the author of three mystery books that have a social worker as a protagonist. 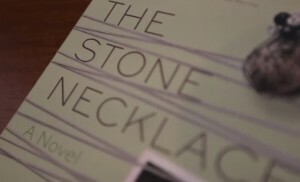 “The Stone Necklace” has been chosen for Columbia’s One Book, One Community initiative. The monthlong, citywide reading initiative starts in February and encourages residents to read the same book at the same time. 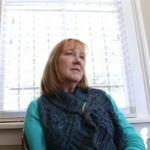 Click here for more information on the NASW South Carolina Chapter.